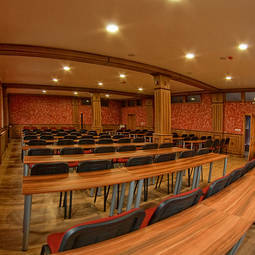 Velingrad is located among the beautiful nature of the West Rodopi mountain. 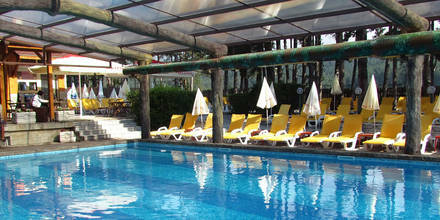 Due to its richness of mineral springs, today, it develops as a balneology center. 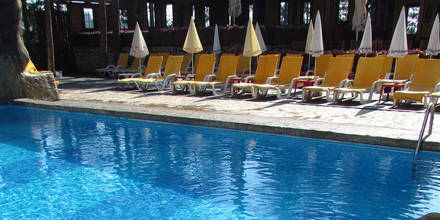 One of the contermporary Spa centers in the town is hotel Elbrus. 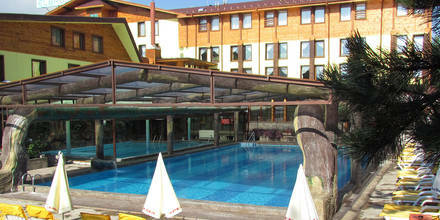 It uses the healing mineral water of the famous Veliova Banya spring. Its specific healing abilities are: women sterility, neurological, kidney and gall diseases. 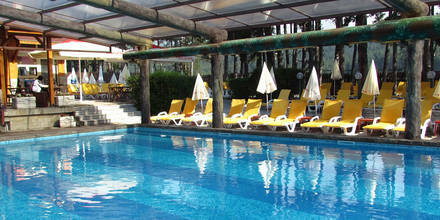 The hotel has 61 rooms and 20 apartments, fully accustomed according to its category,. In every room there is a private bathroom, telephone, refrigerator, and cable TV. We count on our guests comfort and coziness. Three room apartment – with children’s room /two beds/, bedroom and living room. 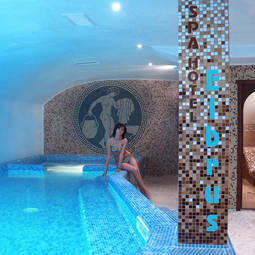 SPA Hotel Elbrus 3 swemming pools with mineral water with healing powers. Termal water park Elbrus. Opened in 2018. 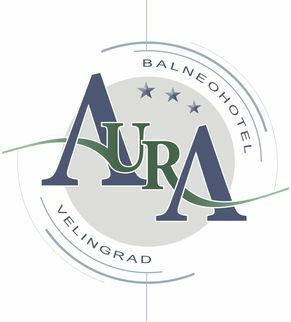 Everywhere in the hotel there is mineral water, which comes directly from the “Valiova Banya” mineral spring. The water is successfully applied in the healing of many diseases such as rheumatism, joint pain, osteoporosis, etc., stomach illness and kidney diseases. The perfect match between the mineral water and the clean air will repair the balance between body and nature. Life as we know it has developed from water, therefore it is the most powerful source of elements, which can comfort your health. 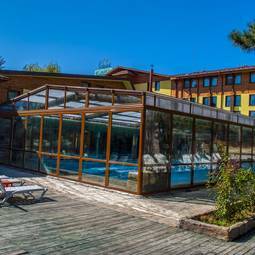 SPA hotel Elbrus hаs a welcoming Restaurant. 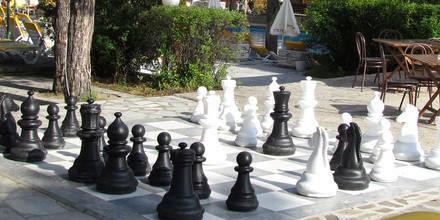 It offers wide range of Bulgarian and world specialty meals. Specialty of the kitchen: „Kapama Velingrad”. 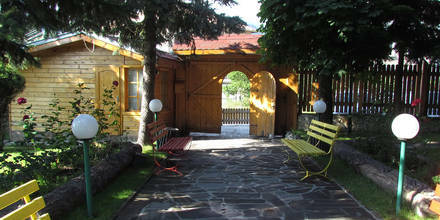 Elbrus restaurant is furnished in the Rhodope style indoor hall - 150 seats and summer garden with barbecue. 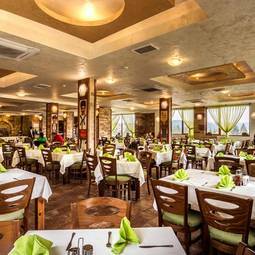 The aroma of delicious dishes will transport you to the comfort of the traditional Bulgarian home. Try the organic vegetables from our greenhouse! Quality and taste are incomparable! Elegant decor, warm atmosphere and personal service - this is what you will find in the lobby bar of the hotel. It is a wonderful place to meet friends over a cup of coffee or other beverage.